WASHINGTON, DC, September 27, 2010 (ENS) – The U.S. EPA is preparing to regulate dental offices to prevent discharge of mercury from old fillings into the environment. The agency announced today that it will propose a rule to reduce mercury waste from dental offices in 2011. The rule, expected to be finalized in 2012, will require dentists to use of mercury separating technology by 2014. The rulemaking is a reversal of Bush-era EPA policy, which allowed dentists to take a voluntary approach to installing devices that separate out the mercury from old fillings, recycle and reuse it. Dental fillings containing mercury account for 3.7 tons of mercury discharged each year from dental offices across the United States, the EPA said today. Fillings in which mercury is amalgamated with other substances become a threat to the environment when the old fillings are replaced. 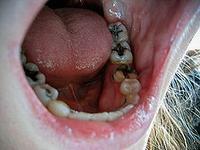 The mercury in dental fillings is flushed into chair-side drains and enters wastewater systems. It passes into the environment through discharges to rivers and lakes, incineration or land application of sewage sludge. Once mercury is deposited in water, microorganisms can change it into methylmercury, a highly toxic form that builds up in fish, shellfish and animals that eat fish. Fish and shellfish are the main sources of methylmercury exposure to humans. Methylmercury can damage children’s developing brains and nervous systems even before they are born, the EPA reiterated today. The agency says mercury released through discarded dental amalgams can be easily managed and discharges prevented with available technology. Amalgam separators can separate out 95 percent of the mercury normally discharged to the local wastewater treatment plant. The separators capture the mercury, which is then recycled and reused. 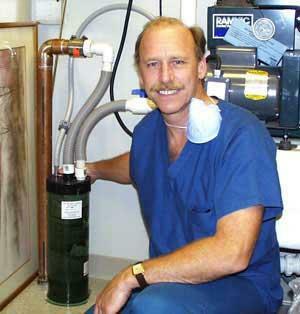 Twelve states and several municipalities already require the installation of amalgam separators in dental offices. Approximately 50 percent of mercury entering local waste treatment plants comes from dental amalgam waste, according to a 2003 study funded by the American Dental Association, which represents more than 157,000 dentists nationwide. The American Dental Association said today its governing body is expected to consider amalgam separator policy at its annual meeting in October. “Association policy strongly encourages dentists to adhere to best management practices and supports other voluntary efforts by dentists to reduce amalgam discharges in dental office wastewater,” the ADA said in a statement. In January 2009 during the final weeks of the Bush administration, the American Dental Association, the EPA and the National Association of Clean Water Agencies signed an Memorandum of Agreement to promote voluntary use of the ADA’s best management practices for handling amalgam waste. Congressman Dennis Kucinich, an Ohio Democrat, today applauded the EPA’s announcement, which follows a hearing of the Domestic Policy Subcommittee that he chairs. The subcommittee, part of the House Committee on Oversight and Government Reform, heard that none of the Memorandum’s commitments, milestones and goals had been satisfactorily fulfilled at the time of the hearing 17 months later in May 2010. He said the Bush-era EPA “missed an opportunity” to persuade dentists to install mercury separators, when it entered into a purely voluntary arrangement with the American Dental Association. At the May subcommittee hearing, attorney William Walsh argued on behalf of the ADA that dentists need no regulation because they already capture most of the waste mercury. “Even without separators, dentists capture in their offices approximately 78 percent of the waste amalgam, with almost all of the remaining 22 percent captured by water treatment plants before the wastewater is discharged to surface water. In other words, approximately 99 percent of the amalgam is captured in the office or by the sewage treatment plant prior to discharge into rivers, streams or lakes,” said Walsh. Environmentalists said they are pleased with EPA’s intent to reduce mercury pollution by regulating dentists instead of continuing with a voluntary approach. Until the new rule is final, EPA is encouraging dental offices to voluntarily install amalgam separators.